RAW HOLLYWOOD : NEW MUSIC: GUCCI MANE FEAT. 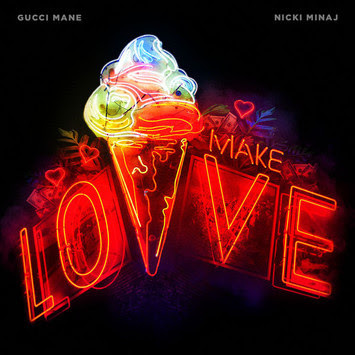 NICKI MINAJ "MAKE LOVE"
NEW MUSIC: GUCCI MANE FEAT. NICKI MINAJ "MAKE LOVE"
Gucci Mane taps Nicki Minaj for the new record "Make Love" & the song is barely a day old & it has sparked opinions on who Minaj is throwing shots at? People are speculation that she is throwing major shade at Remy Ma. "Your career got' be with Anna Nicole with your dumbass face. You see sill rabbit to be the queen rap, you gotta sell records, you gotta get plaques S plural like the S on my chest / Now sit your dumbass down, you got a F on your test."